I have created this website and the Nourishing Foods Menu Planner as resources for people who have allergies or sensitivities to dairy, gluten and soy products. So it may seem a bit paradoxical at first that I am writing about and promoting the use of raw milk. However, my hope is that by writing about this somewhat taboo and controversial topic that people who read it will learn the amazing qualities and attributes of this somewhat hidden and healthful food. It took me a long time to wrap my brain around the possibilities that raw milk holds for people who are “lactose intolerant,” including myself. The first time I remember hearing about it’s healthful properties was from my chiropractor in Solano Beach, CA. He basically said that I might want to try it since he knew I couldn’t drink regular pasteurized milk. Well, that was at least four years ago and I didn’t start drinking it until recently. It obviously took some convincing on my part to be open to something which has been claimed to be wrought with bacteria and diseases. Plus, I never liked milk growing up so why start now? 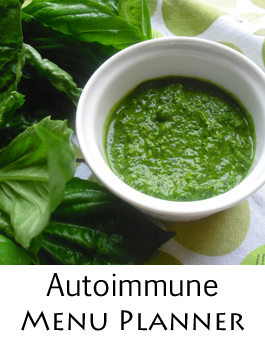 Are you following Dr. Kharrazian’s Autoimmune diet protocol? If so, these menu planners are custom tailored to follow Dr. K’s protocol for autoimmune issues such as autoimmune hypothyroidism. Recipes focus on using fresh produce and whole foods. Every recipe uses real, whole foods: fresh vegetables, protein such as poultry, fish and red meat, coconut and some low-glycemic fruits. • Eat foods that work for your body – no more cheating on your diet because you want to eat something yummy or can’t find something to eat. • Feel Happy and Healthy! When people follow a diet that works for their body, they often feel better than they ever thought possible! 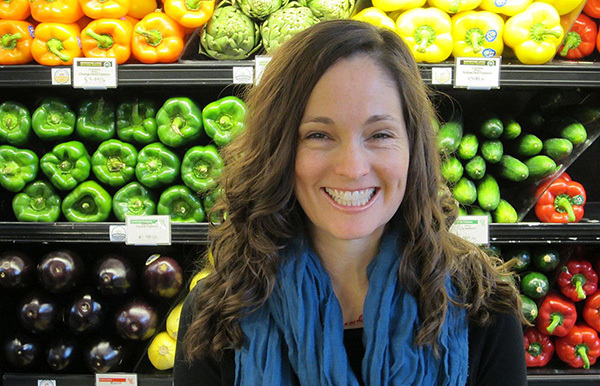 Are you looking for a whole-foods Paleo menu planner? Our Paleo Menu Planner is perfect for you if you’re looking for a whole food, healthy and nourishing menu plan that follows the Paleo diet. This diet consists of foods our ancestors would have eaten and had access to. Free of preservatives, MSG and other artificial ingredients. Every recipe uses real, whole foods: fresh vegetables and fruits, protein such as poultry, fish and red meat, nuts, seeds, eggs and other Paleo-type foods. The Paleo Menu Planners and recipes are available on the membership site where you have unlimited access to all menu planners and recipes! 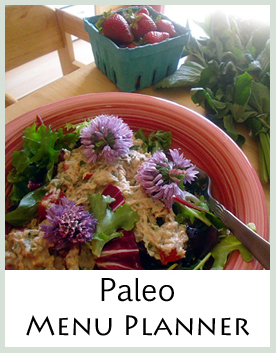 A very high percentage of the recipes & planners on the member site are Paleo! Click here to read what one of our customers has to say. Are you ready to start a detox or elimination diet but don’t know how to begin? If you are new to following a very limited diet, it can be overwhelming to know where to start first. It may seem like you can no longer use almost everything you used to cook with. When you and your family start following this diet, it is vital that you plan ahead before you go shopping at the store. 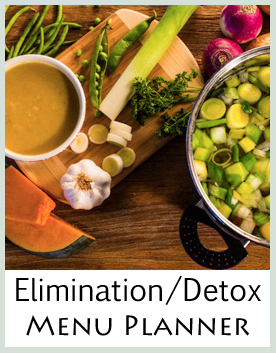 The Elimination and Detox Menu Planner does it for you! Every recipe uses real, whole foods: fresh vegetables, protein such as poultry, fish and red meat, seeds, coconut and some berries. Are you looking for a grain-free menu planner that is also free of the 7 seven common food allergens? Our 7 Common Food Allergen Menu Planner is perfect for you if you’re looking for a whole food, healthy and nourishing menu plan that only excludes the seven common allergens plus all grains. 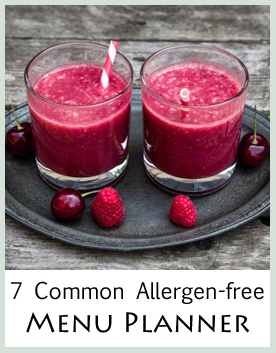 The Seven Common Allergen Free Menu Planners and recipes are available on the membership site where you have unlimited access to all menu planners and recipes! Are you looking for a whole foods gluten/grain, dairy and soy-free menu planner? These brand-new menu planners were created using the top-downloaded recipes from our membership site so you can have the best recipes we have. You will receive a total of 3 months worth of recipes for a one-time payment of $19.95. Price will increase to $24.95 at the end of April 2019. All foods containing gluten: wheat, barley, spelt, kamut, rye, and oats. All grains including rice, quinoa, buckwheat, etc. All dairy products: milk, cream yogurt, cheese, butter and other products made from cow’s and goat’s milk. Refined sugar, alcohol, preservatives, MSG and other artificial ingredients. The recipes in these planners do not include beans and legumes so these planners are also suitable for the Paleo diet. Two menu planners will be emailed to you each week for 6 weeks, on the day of the week that you sign up. Each email will include one Spring/Summer menu and one Fall/Winter menu so you can choose which one you’d like to use. One-time fee of $19.95 for a limited time. Every recipe uses real, whole foods: fresh vegetables and fruits, protein such as poultry, fish and some red meat. Some seeds, nuts, and eggs are used. I started creating menu planners for people with food allergies and restrictions in 2008 and I launched the menu planning membership site in 2011. Since then, it’s served 1000’s of people. I hope these new menu planners will continue to inspire and help people enjoy delicious food! 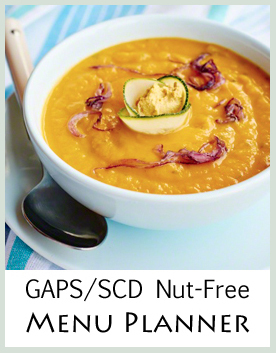 We have four GAPS menu planners available, based on common allergens. 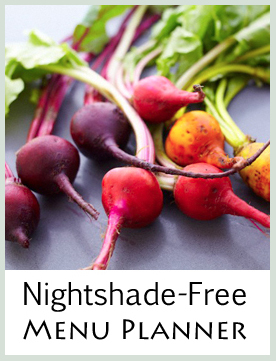 Do you follow a nightshade-free diet? Are you looking for a healthy and whole foods weekly meal plan? If you’re nightshade-free, this menu planner is for you! 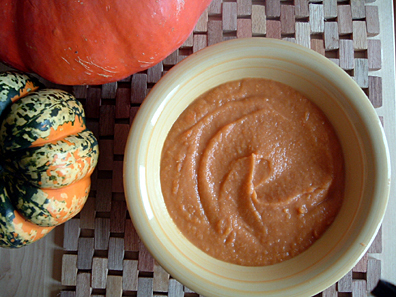 All of the recipes are free of tomatoes, potatoes, bell peppers, hot peppers and eggplant. 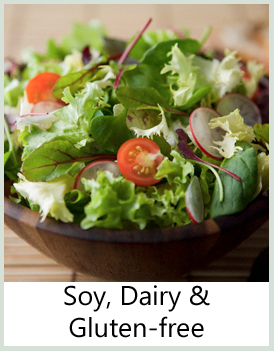 This menu planner is also free of soy, dairy, wheat and gluten. 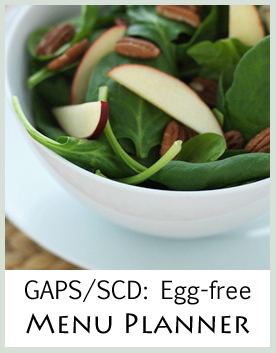 I have found that people who are nightshade-free usually avoid all or most of these other foods as well. Nightshade vegetables: tomatoes, potatoes, peppers, hot peppers and eggplant. Refined sugar, pork, alcohol, preservatives, MSG and other artificial ingredients. Newer menu planners contain one breakfast meal a week. Every recipe uses real, whole foods: fresh vegetables and fruits, protein such as poultry, fish and some red meat with complementing whole grains, seeds and nuts, and legumes. All recipes & planners on the member site are gluten-free and most are dairy-free or have suggestions for dairy alternatives. 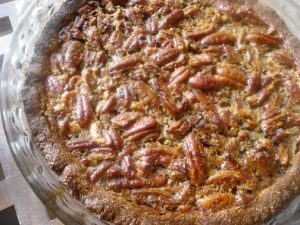 Are you on a limited, allergen-free diet but want to enjoy Thanksgiving with delicious baked goods and foods you would normally eat on a “regular diet”? You can access all of our Thanksgiving and Holiday menu planners on the membership site. Read more about the membership site here. limited grains – There is a recipe for wild rice stuffing for people who can eat rice. All desserts are grain-free. 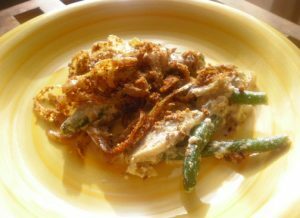 limited starches – there is a regular mashed potatoes recipe as well as a mashed cauliflower recipe for people who can’t eat starch or nightshades. 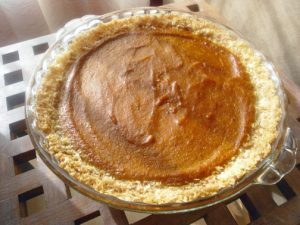 Yeast-free – I used honey in the recipes but you can use stevia if you like. Meat, eggs, vegetables (non-starchy), nuts, seeds, fruit, honey, coconut, and other whole food ingredients. MENU: You will find there is plenty to choose from for your specific diet. I don’t expect you’ll make all these desserts, but I am sure you will find one that you’ll LOVE! What does the menu planner include? How much is the menu planner? $5.95 You can ORDER the menu planner here! Plus you have access to ALL Thanksgiving and Holiday recipes. When you click “Buy Now,” you will be directed to Paypal where you can pay securely for the menu planner. If you want to pay by check, please contact me for my mailing address. I will add you to the list once I receive your check. Once you pay for the menu planner in Paypal, you will be directed to a confirmation page, asking you to check your email for a confirmation email from Sarah Schatz. Check your email (the email address that is linked to your Paypal account) and click on the link inside the email to confirm your email address. Once you confirm your email address, you should receive the Thanksgiving Menu Planner immediately in your email as a PDF document. If you are having trouble receiving your menu planner, please visit my FAQ page where I walk you through how to troubleshoot the problem. If you have followed all of these steps and you do not receive it right away, please send me an email and I will send you a link to the menu planner. I hope you have a beautiful and splendid Thanksgiving this year, no matter what your diet is! You can also leave a comment on my Blog about your ideas and suggestions! Click here!